Every designer desires for an opportunity to create work for SXSW. 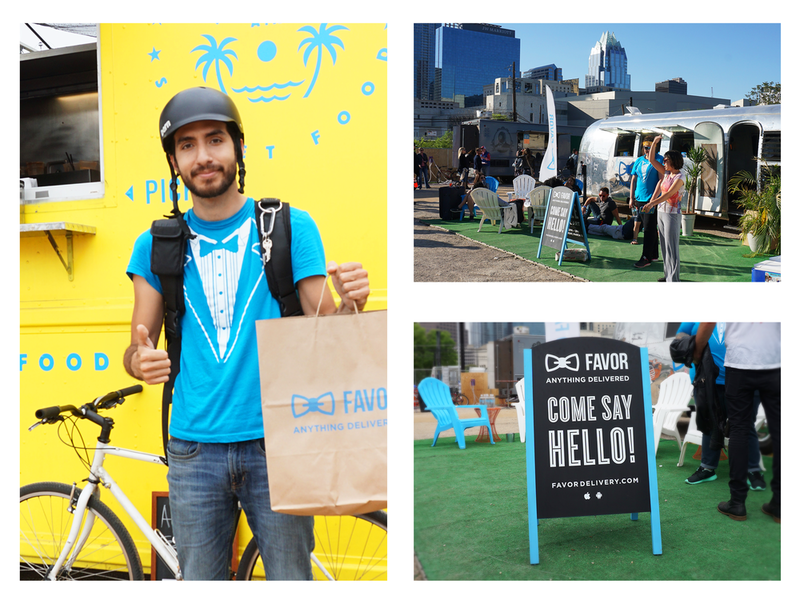 In this case, I was able to work on Favor’s SXSW 2016 activation space. The area would be the center point for the SouthBites Trailer Park, which celebrates Austin’s iconic food truck culture by featuring some of the best rolling-restaurants in the country. This was a massive opportunity for such a young, service brand like Favor. 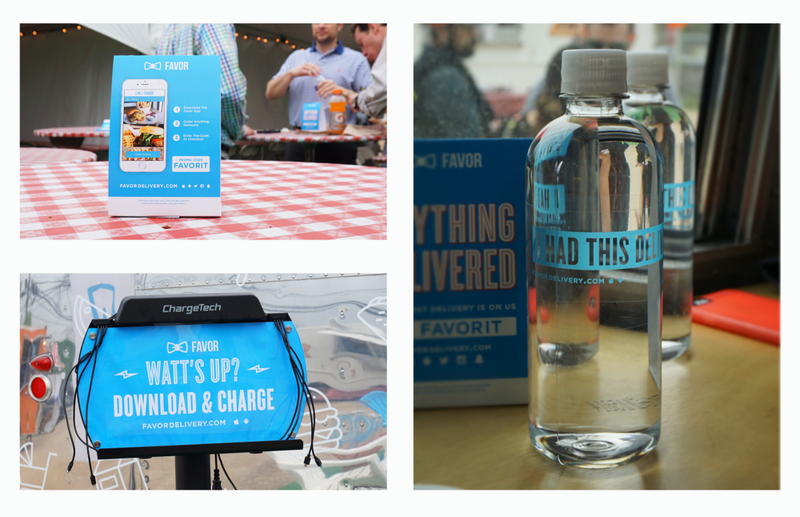 The challenge was immense: create Favor’s first real world collateral system, first installation and activation space, and have it all developed, produced and installed within 30 days. With such a young brand that had very little design language, it made sense to work smart by developing a series of type treatments, illustraition, iconography, and patterns that would then serve as our visual language. inside the air streamer, guests were treated to snacks, swag, complimentary finger nail painting, massages and even tattoos!! We made it all: promotional cards, sticker packs, take-out bags, table tents, business cards, flags, tents, table runners, napkins, koozies, coasters… I even designed a water bottle! All these items would be distributed throughout SXSW Interactive and SouthBites. Additionally, I was able to design the interior and exterior graphics for our activation space. This included wraps and graphics for our massive 32 foot air streamer, which would serve as the HQ and center piece of our operations. Here, SXSW attendees and Runners alike can rest, recharge, get (real) Favor tattoos, nail paintings and massages. Along with those activities, we would need to outfit the SouthBites Trailer Park with signage, way finding, and even Favor branded power charging stations. Oh, last minute, we got the okay to make a sweet neon sign! It was a true swag-fest.